Do you know who your natural referral partners are? If you’re thinking of joining a networking group simply to have a calling list, you’re wasting your time. It’s not just the novice MLM’s who get confused. Even the brick and mortar-types will often fall for the temptation of the “one and done” strategy of trying to “sell” to other members without sincerely offering something in return. Whether it’s a casual, social networking group such as Rotary Club or a very strict group such as BNI, the successful businesses who have made networking profitable have shown us that it requires a long term commitment. For the “Direct Vendor” category, they actually CAN expect to sell directly to the members. I’ve seen it happen with jewelry, coupon magazines, printing businesses, restaurants, and even chiropractors. While their customers can consist of other members, the opportunity lies in creating referrals from the member’s networks. The confusion often lies with the 2nd category. 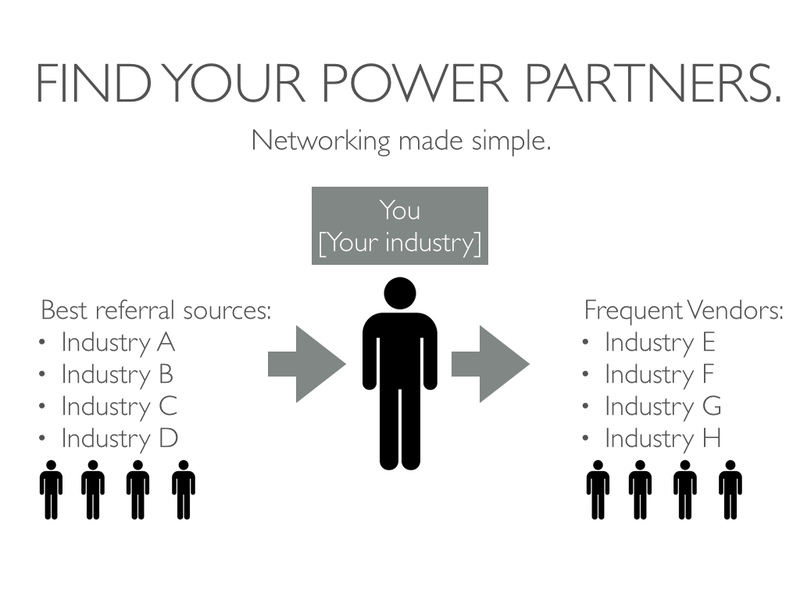 For this category shown in the table above, your biggest opportunity lies in leveraging a “power partner’s” network. In other words, your customers are one degree of separation away. One of the most common partnerships is between a mortgage lender and a Real Estate agent. Almost every client who buys a home through a Real Estate agent will need a mortgage lender. In return, the mortgage lender often will have past clients from refinance loans who will need to sell. If you could imagine in the example of a lender and Realtor, it wouldn’t be a true partnership if the lender was sending all their Real Estate referrals elsewhere. In that case, the lender is NOT a power partner — they’re only a vendor. At FACCOC’s Networking Lunch, we’re forming a group of not only “vendors” — but true PARTNERS. Come join our lunch this Thursday! A true power partner should have their PREFERRED vendor within the same group! 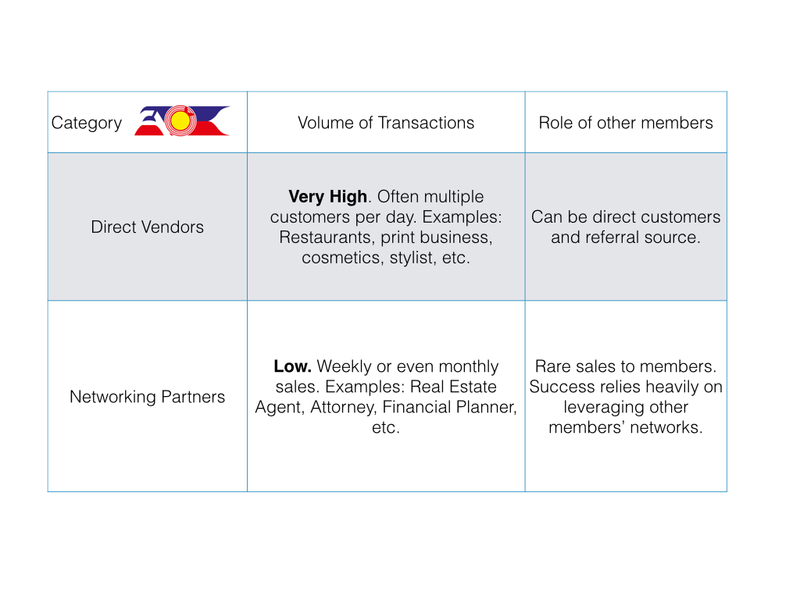 While existing members may fit many of these categories, keep in mind this is for the FACCOC Power Partners Group. The ideal addition to our group would have ALL of the above: A.) Be able to attend our lunch meetings B.) Has a network where they can regularly contribute referrals C.) Has demonstrated excellent customer service and proficiency in their respective field.